WOW! Those are some GORGEOUS cupcakes! And I love that cake! It is so professional looking! looks beautiful, i love the toasted marshmallow look too. i'm going to go the cupcake route with these next time i think, layer cakes never seem to work out right for me! Holy moly! That is a true work of art. I never thought to break out the torch, although that would have made it more exciting! BTW - have you changed your blog? Your print is realllllly hard to read. It shows up super small. Just so you know. Is the print only small on this post? For some reason when I post on my MAC as opposed to my PC it comes out super small. Are the other posts legible? Amazing photos!! Like everyone else, I think the toasted marshmallow looks great. 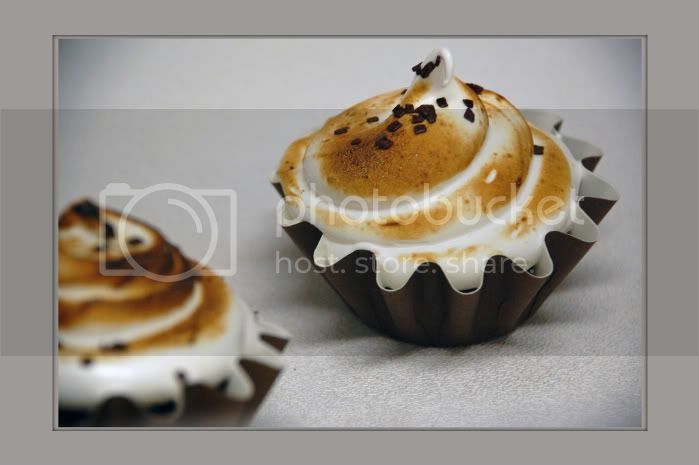 Love the toasted marshmallow! What a great looking cake. Fantastic. Those little ones are just perfect. And browning the marshmallow frosting - genius! Fantastic version of the cover cake! 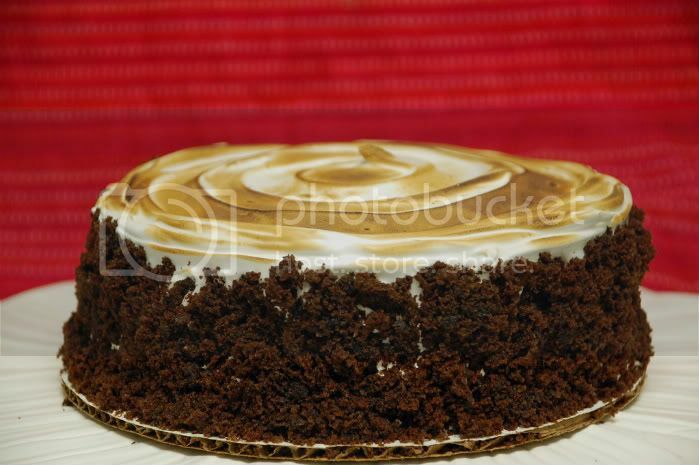 Love the browned meringue top! blow torching it! that's a fantastic idea! the swirls.. are soo pretty.. I love the flame effect -- it really makes the cake look professional. Great idea! Love the toastiness! So pretty and swirly. And the cupcakes - their cuteness is overwhelming. Beautiful job.